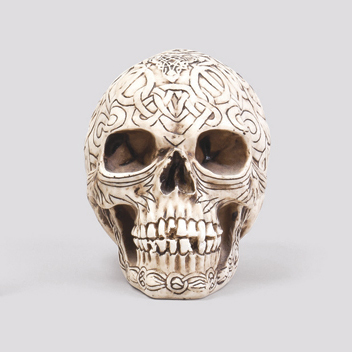 Every now and then one of those projects pop up in the studio that become something a bit more than another item on the to-do list, they become a love affair. 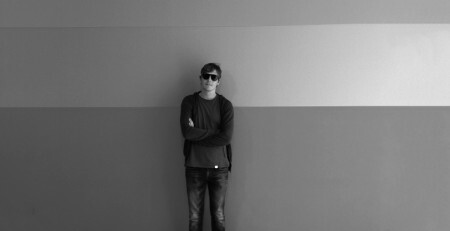 If I had to guess, I’d say one such a project reared it’s lovely little head in the studio of Believe in. 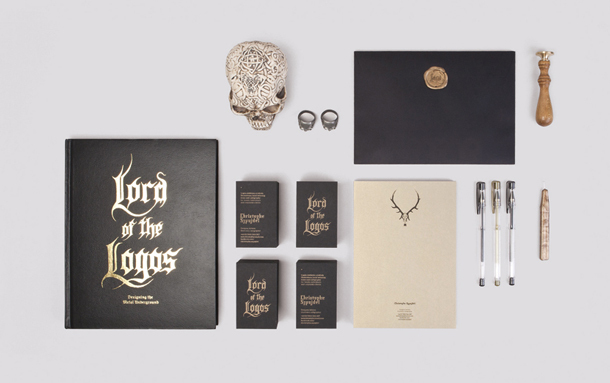 The Exeter studio, cavaliers of meticulously fine brands, have just unveiled a new identity and stationery set for internationally acclaimed heavy metal logo designer and illustrator Christophe Szpajdel aka ‘Lord of the Logos’. 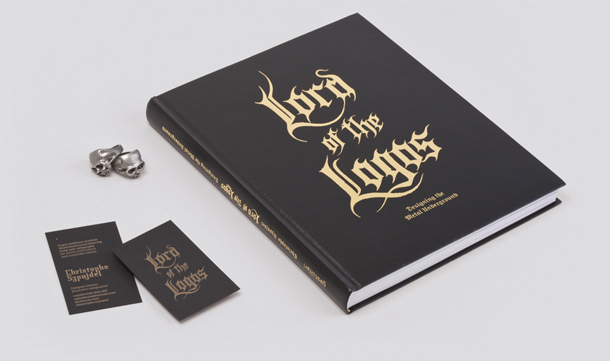 The work follows the 2010 Gestalten publication of the Lord of the Logos, which showcased a selection of the close to 10,000 logos that Christophe has created in his career to date. 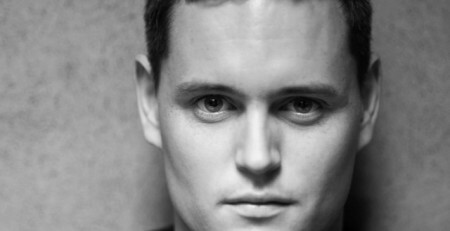 He has worked for many of the biggest bands within the Black Metal and Death Metal underground music scenes, and his work has been featured in numerous galleries (notably and most recently at the Walker Arts Centre in Minneapolis), publications and blogs both in Europe and America. 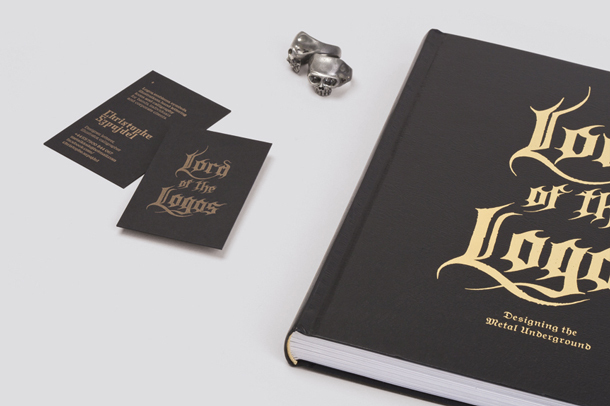 The Lord of the Logos logo is Christophe’s own and forms a central element in the wider identity, that includes a new ‘stag’s skull’ icon, wordmark and supporting typography. 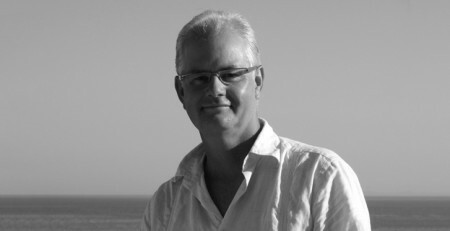 Letterpress print and tactile choice of stock reflect the painstaking attention to detail that goes into Christophe’s work. 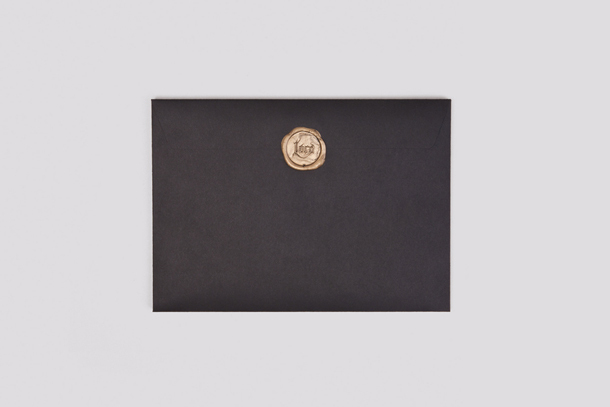 The range is wonderfully accented by a wax seal, adding a suitably dramatic flourish to his correspondence – massively appropriate given the subject matter and in itself conjures all sorts of images of the man himself scribing at a giant oak table. 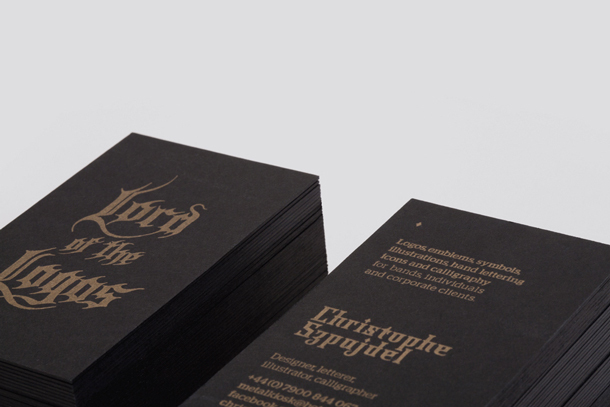 Materials: Business cards printed letterpress gold on 700gsm Ebony Colorplan by The Print Project, Bradford. 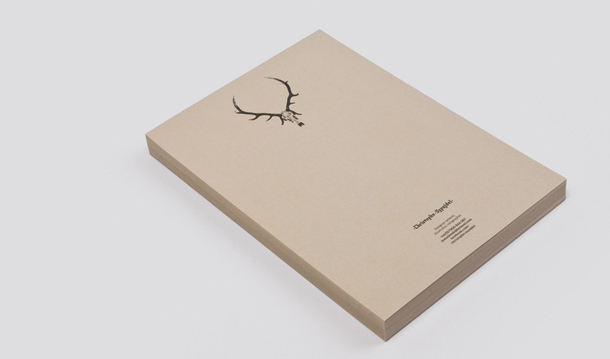 Letterheads printed black on 120gsm Curious Metallic Gold Leaf by Kingfisher, Totnes. 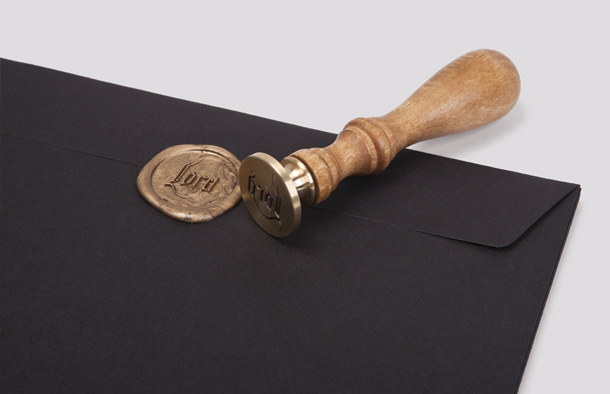 Wax Seal Stamp from Custom Wax n’ Seals in Birmingham.